Looking for an easy reading incentive for students? 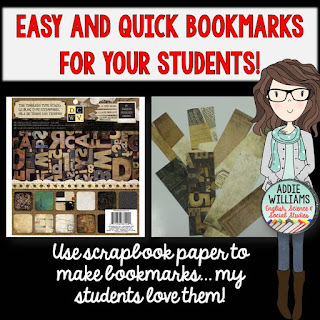 Here are some quick and easy bookmarks to make to give to your students. 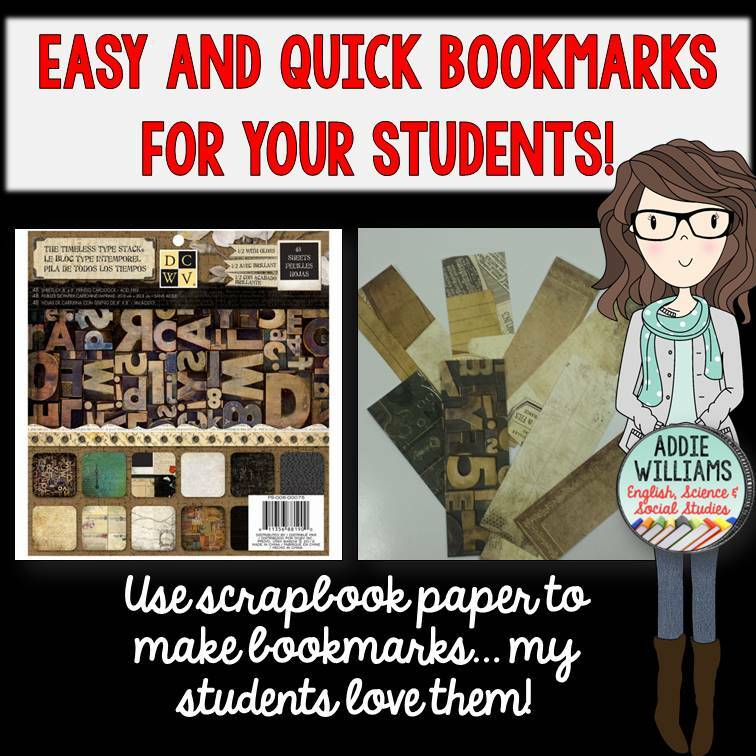 Okay... so I know that I'm not the first person to have ever figured this out and it's clearly not rocket science... but I can't believe how easy it is to make my own bookmarks with scrapbook paper! My students love bookmarks... like really love... I had no idea that they would be so popular. However, buying bookmarks online is expensive "like $1.50-$2.00 each expensive" which is over $50 per class!! As well, most of the bookmarks I see would not appeal to my middle/high school aged readers. While wandering the stationary aisles of Micheal's Craft Store one day trying to think of something I could make with the beautiful stacks of scrapbook paper, I realized I could make bookmarks! There are tons of teen-friendly papers and when I buy the books on sale I can make 200-300 bookmarks for less than $15! And it turns out my students love them! 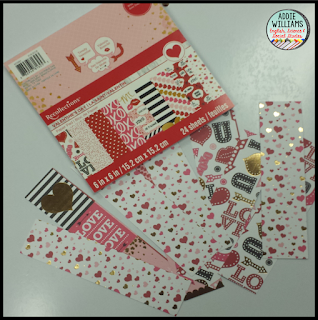 They ask for themes (they can't wait for the Valentine's Day bookmarks I've promised!) and love when I add new ones to my box of bookmarks. I usually use a 12"x12" book and I can get 10 bookmarks per page. For the Valentine's Day bookmarks above I used a 6"x6" mini-book and got 5 per page. 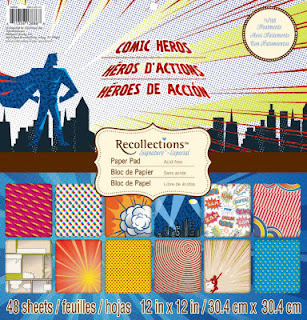 I just got this awesome pad of comic book themed paper on sale!! Can't wait to cut these up into bookmarks - my students are going to LOVE them!! Very cute idea! Love this! Also, love the new style of your logo!